When people migrate, Canis familiaris travels with them. Piecing together the details of those migrations has proved difficult because the clues are scattered across the genomes of hundreds of dog breeds. 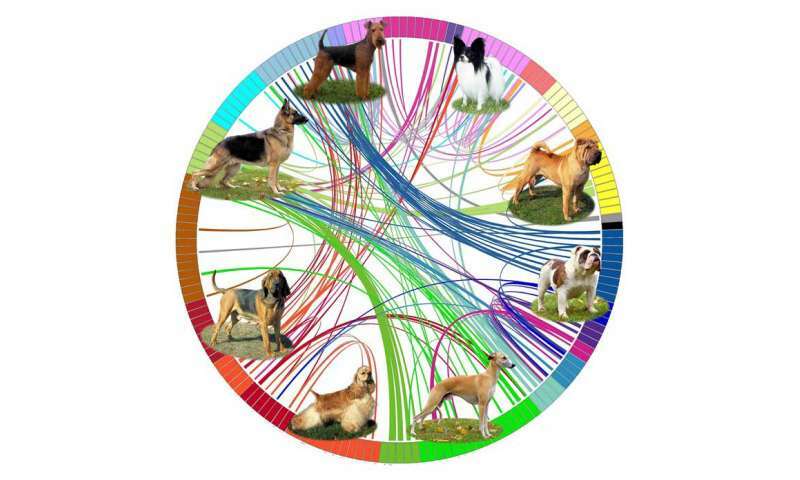 However, in a study published April 25 in Cell Reports, researchers have used gene sequences from 161 modern breeds to assemble an evolutionary tree of dogs. The map of dog breeds, which is the largest to date, unearths new evidence that dogs traveled with humans across the Bering land bridge, and will likely help researchers identify disease-causing genes in both dogs and humans. The study highlights how the oldest dog breeds evolved or were bred to fill certain roles. "First, there was selection for a type, like herders or pointers, and then there was admixture to get certain physical traits," says study co-author and dog geneticist Heidi Parker of the National Institutes of Health (NIH). "I think that understanding that types go back a lot longer than breeds or just physical appearances do is something to really think about." 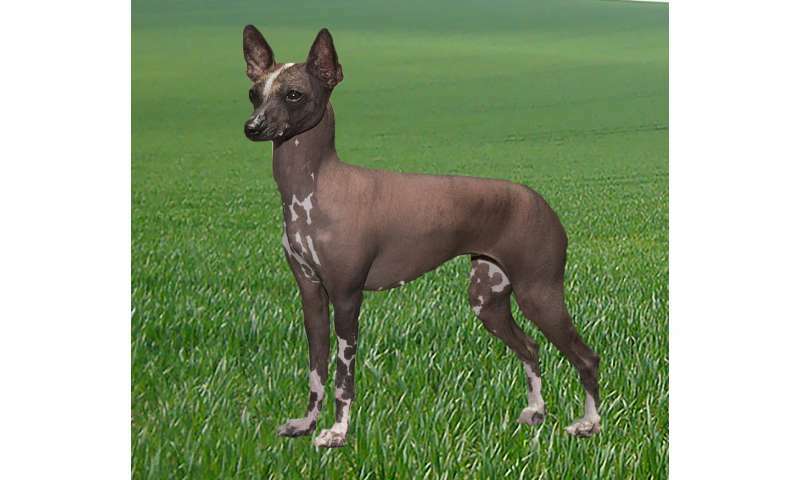 Most popular breeds in America are of European descent, but in the study, researchers found evidence that some breeds from Central and South America—such as the Peruvian Hairless Dog and the Xoloitzcuintle—are likely descended from the "New World Dog," an ancient canine sub-species that migrated across the Bering Strait with the ancestors of Native Americans. Scientists have previously reported archaeological evidence that the New World Dog existed, but this study marks the first living evidence of them in modern breeds. "What we noticed is that there are groups of American dogs that separated somewhat from the European breeds," says study co-author Heidi Parker of the NIH. "We've been looking for some kind of signature of the New World Dog, and these dogs have New World Dogs hidden in their genome." It's unclear precisely which genes in modern hairless dogs are from Europe and which are from their New World ancestors, but the researchers hope to explore that in future studies. Other results were more expected. For instance, many breeds of "gun dogs," such as Golden Retrievers and Irish Setters, can trace their origins to Victorian England, when new technologies, such as guns, opened up new roles on hunting expeditions. Those dogs clustered closely together on the phylogenetic tree, as did the spaniel breeds. Breeds from the Middle East, such as the Saluki, and from Asia, such as Chow Chows and Akitas, seem to have diverged well before the "Victorian Explosion" in Europe and the United States. Herding breeds, though largely European in origin, proved to be surprisingly diverse. "When we were looking at herding breeds, we saw much more diversity, where there was a particular group of herding breeds that seemed to come out of the United Kingdom, a particular group that came out of northern Europe, and a different group that came out of southern Europe," says Parker, "which shows herding is not a recent thing. People were using dogs as workers thousands of years ago, not just hundreds of years ago." Different herding dogs use very different strategies to bring their flocks to heel, so in some ways, the phylogenetic data confirmed what many dog experts had previously suspected, the researchers noted. "What that also tells us is that herding dogs were developed not from a singular founder but in several different places and probably different times," says the study's senior co-author and dog geneticist Elaine Ostrander, also of the NIH. Ostrander and her colleagues have spent years sequencing dog genomes but can also frequently be found out in the field at dog shows, recruiting dog owners to participate in the study. "If we see a breed that we haven't had a good sample of to sequence, we definitely make a beeline for that owner," says Ostrander. "And say, 'Gosh, we don't have the sequence of the Otterhound yet, and your dog is a beautiful Otterhound. 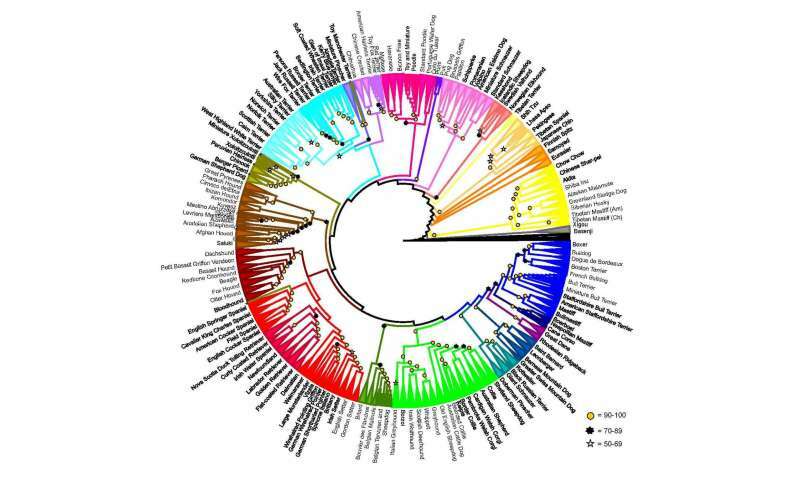 Wouldn't you like it to represent your breed in the dog genome sequence database?' And of course, people are always very flattered to say, "Yes. I want my dog to represent Otterhound-ness." All of the dog sequences in the study are from dogs whose owners volunteered, Ostrander says. Over half the dog breeds in the world today still have not been sequenced and the researchers intend to keep collecting dog genomes to fill in the gaps. Understanding dogs' genetic backstory also has practical applications. Our canine compatriots fall victim to many of the same diseases that humans do—including epilepsy, diabetes, kidney disease, and cancer—but disease prevalence varies widely and predictably between breeds, while it is more difficult to compartmentalize at-risk human populations. "Using all this data, you can follow the migration of disease alleles and predict where they are likely to pop up next, and that's just so empowering for our field because a dog is such a great model for many human diseases," says Ostrander. "Every time there's a disease gene found in dogs it turns out to be important in people, too." And why did they cut off its ears? Entendrie intended.